You know the jingle I’m sure. And it’s a great deal, especially for such a generously proportioned sandwich. And not surprisingly, none of our kids have any trouble (at all!) putting one down in mere minutes. They’re easy, they’re good, and with children who inhale their food, the price is right on point for us. And like with everything else, everybody has their own favorite meat & cheese combination and it can be pretty hard to swing their votes. Luckily, there’s one version that we can all always agree on. Chicken Bacon Ranch on toasted bread with perfectly melted cheese. We may not always agree on all the same additional toppings, but that’s neither here nor there and pretty easy to remedy anyway. Get a loaf of your favorite long bread, baguette, french loaf, Just bread, good, fluffy bread you want to eat. Now picture that bread spread with a layer of your favorite grilled chicken strips, followed by strips of perfectly crisped bacon. Give it a good turn in a toaster oven, or regular oven if making multiples, with a few slices of your favorite sandwich cheese. Add on lettuce, tomatoes, onions (or insert your own personal favorites here) before finishing off with a generous drizzle of creamy ranch dressing. That my friends, is a sandwich worth writing home about any day, and most definitely one to have on hand for those hungry, hungry boys. Or for your biggest boys to dig in to at half time on game day. 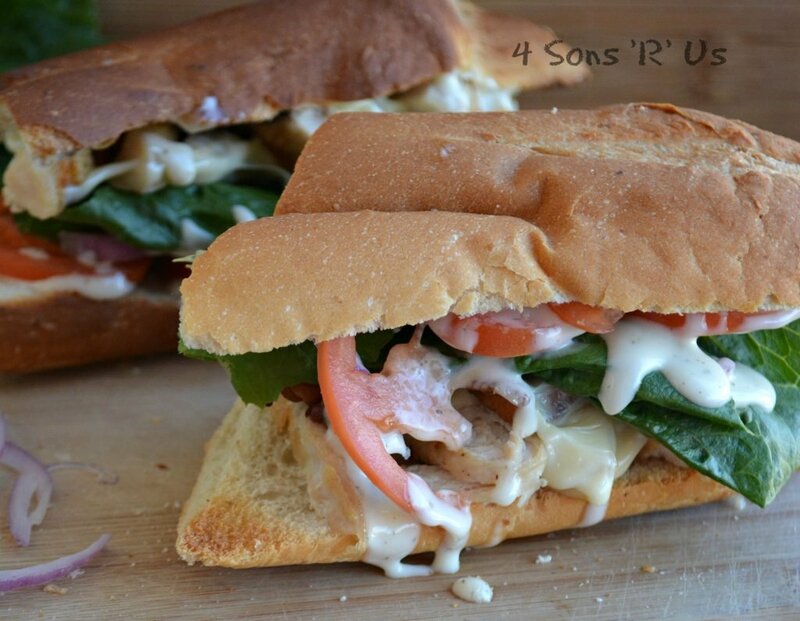 A sub-sized sandwich loaded with grilled chicken, crisp bacon, cheese, and your favorite toppings before being finished off with a generous drizzle of creamy ranch dressing. 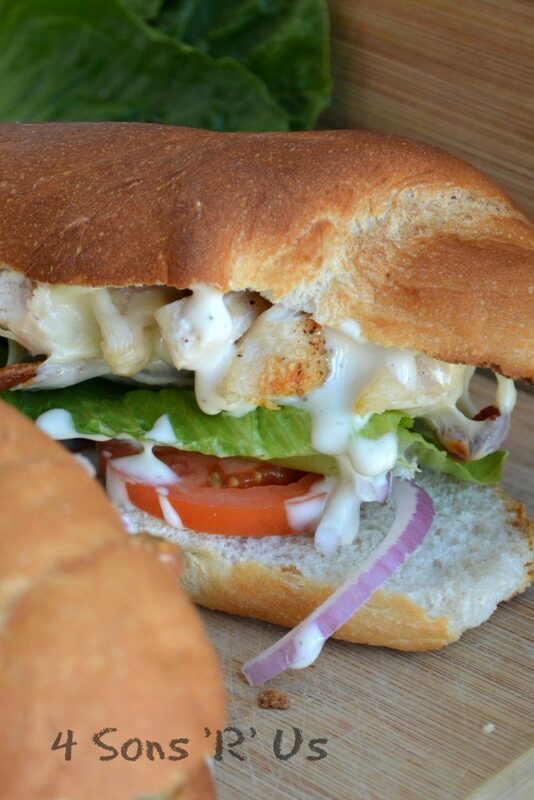 On the bottom half of your sub roll, place several chicken strips in an even layer. Top them with a few strips of the cooked bacon, creating a thin layer that covers the chicken. Place your sliced cheese over top the bacon. Carefully transfer the sandwich to a baking sheet and place under the broiler, just until the cheese is melted and the bread lightly toasted. Top the cheese with your favorite sandwich toppings. Ours are what's listed in the ingredient section, but there are so many other possibilities as well. After 'dressing' your sandwich, sprinkle it with salt and pepper to taste. 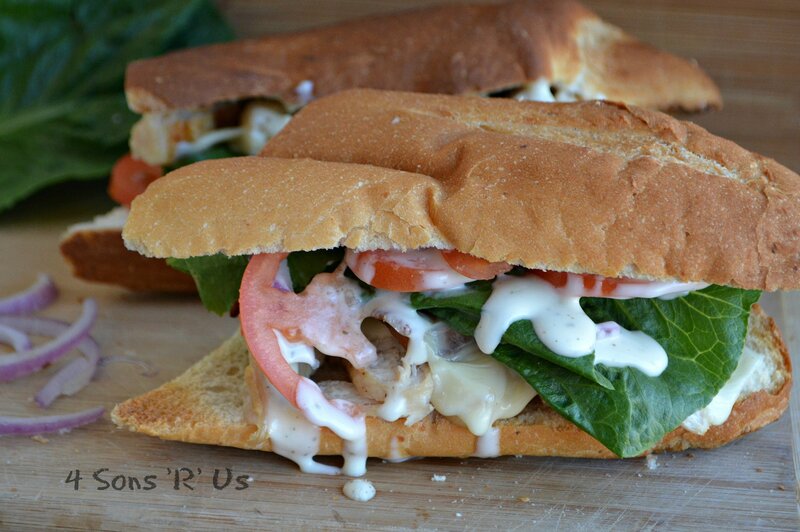 Liberally drizzle the sub with ranch dressing, top with the other, bare half of bread, and enjoy. We prefer our cheese a little melted and out bread a bit on the toasty side, but if that's not for you then feel free to skip that step. That ‘sub’ place is popular with my boys too, but I always prefer making the a homemade version..if they’ll let me! Great minds (and Moms) think alike, right?? This is a good looking sandwich! And sounds so good, too! 😀 Happy FF102! That sounds like a great sandwich! Very filling and very tasty. I’m not a big American Cheese fan but Pepper Jack definitely hits the mark! Maggie, it definitely delivers on both. And pepper jack always hits the spot, right? This sandwich looks great. It caught my eye at Throwback Thursday and I wanted to have a closer look. I’m glad I did. Pinning and adding things to my grocery list to make this soon. Yay for eye catching recipes! I can’t wait to hear what you think. This is my go-to sub sandwich, it even knocked Philly cheesesteak and roast beef with cheddar and horseradish down our totem pole. 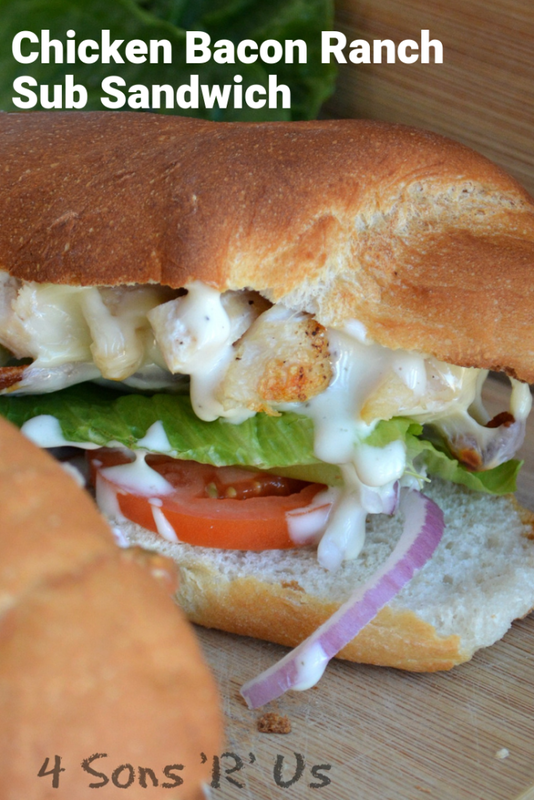 It’s one of my favorites to throw together for quick, easy lunches!